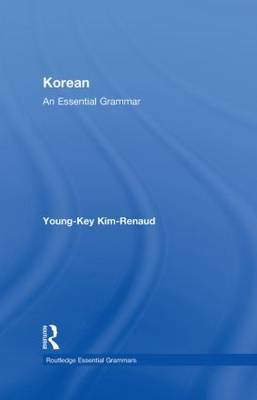 Korean: An Essential Grammar is a concise and convenient guide to the basic grammatical structure of standard Korean. Presenting a fresh and accessible description of the language, this engaging Grammar uses clear, jargon-free explanations and sets out the complexities of Korean in short, readable sections. clear explanations of grammatical termsfrequent use of authentic examplesthe Korean alphabet used alongside McCune-Reischauer romanization systema full glossary of explanations.